Simon is a second-generation bow hunter who lives in regional Australia. As a kid he’d ‘go bush’ with his late Dad to hunt for ‘pests’ such as rabbits and foxes, later feral deer. Bow hunting’s a passionate pastime for Simon. With Australia’s feral deer population now at “problem” proportions, he’s part of the current movement of hunters who use hi-tech bows to hunt deer in the wild, the meat from which they take home to eat. Bow hunting is a divisive topic. Most people have strong views about hunting, one way or the other. 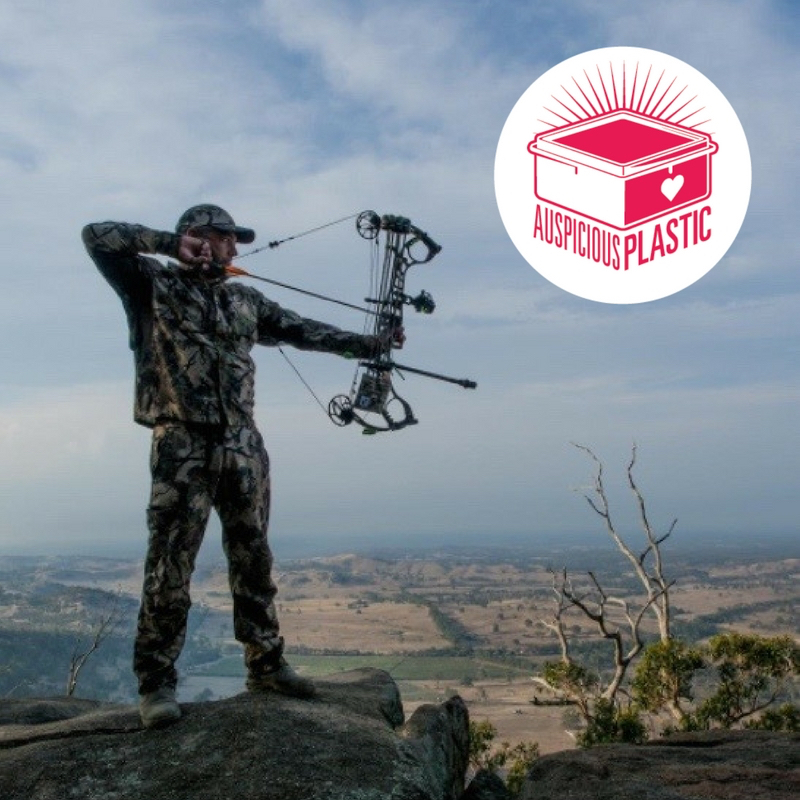 In this episode of Auspicious Plastic, Simon’s bow propels us into a fascinating conversation about life, death and the ancient, controversial art of hunting. Episode 12 released 02 April 2018. Many thanks to Simon for the interview and Jared for the photo! Photo by Jared Hartley. Reproduced with kind permission.